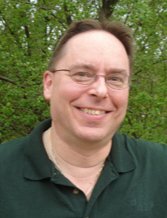 Jerry Becker, HTCP/I, CAE: Jerry is a Healing Touch Certified Practitioner (2002) / Instructor, Certified Ayurvedic Educator and an Ayurvedic Practitioner Intern. He is the Energy Therapy Director at Kanyakumari Ayurveda and Yoga Wellness Center in Milwaukee WI. Teaching Pranic Healing, the course 'Root to Crown and Beyond' Chakra exploration, as well as subtle bodies, astral anatomy and Chitta Nadi Meditation. He has been practicing energetic healing arts since 1990 with Chi Kung Healing methods in relation to his Martial Arts training since 1981. He teaches Tai Chi for health and relaxation, Chi Kung for health and vitality, and Push Hands for energetic balance, expansion and enhancement. Using Ayurvedic principles Jerry empowers clients to learn about themselves and helps them understand their unique place in the universe. He tailors diet, lifestyle, self-care techniques, meditation, energy therapy and exercise to each client to achieve a balanced and healthy life. His intention is for you to be well. He works at the University of Wisconsin Milwaukee as a Research Device Instrument Maker for the College of Letters and Science, Physics Dept. He oversees Pranic and Healing Touch practice sessions monthly. He will travel the Mid-West to teach Level 1 classes.